Fast delivery, convenient payment and comfortable advice: SERVICE is very important to us! Our warehouse of 5.500 square meters ensures the constant availability of more than 6.500 different products in great quantities. Approximately 5000 shipments leave our house every day. Articles that you order from us on weekdays before 20.00 and on Saturday until 15.00 are usually forwarded immediately and delivered to you the next day. We deliver free of charge! No additional costs and no minimum order value. Shipping costs only incur for UPS-Express. The exact delivery times and shipping information can be found under DISPATCH. You can choose to pay by direct debit, PayPal, instant transfer or cash on delivery. Our in-house call center guarantees advice before and after your purchase. In case you have a customer complaint, you can reach our service hotline and order an exchange item if necessary. The number of our service hotline is +49-8924880 9300, Mon-Fri from 08.00 until 19.00 and on Saturdays from 09.00 until 15.00. It is very important for businesses and companies that their fax machines, copiers and printers work reliable. But also private households require a fast dependable delivery. toner24.co.uk guarantees the constant availability of high quality products. We offer printer-and ink cartridges, toner and paper from 55 different manufacturers not only for major brands hp and Epson, Lexmark and Brother. Our range of articles involves printer cartridges from Epson, hp ink cartridges and Canon printer cartridges, toner from Samsung and toner from Brother. The advantages of original products: The manufacturers use special techniques to achieve an optimal interaction of ink, paper and hardware. 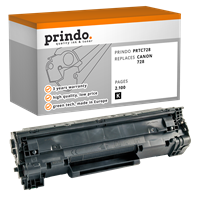 Original cartridges and original toner ensure the best compatibility with the printer and therefore best results. We have expanded our product range and offer office supplies now. We offer filing and organizing systems, blocks &papers, glue sticks, correction pens&rollers, as well as writing utensils for the normal office life-from markers to ballpoint pens. Of course, we only offer high class quality office supplies at reasonable prices. A printer cartridge (ink cartridge) is required for an inkjet printer. A distinction is made between a single-ink cartridge, in which is only one color of ink, and a three- chamber color cartridge, in which all colors of ink(magenta, cyan and yellow) are inserted in the cartridge. There are advantages and disadvantages in both systems. If just one single color in the three-chamber color system is empty, the entire color cartridge must be replaced, whereas in the single ink- technology only the tank that is actually empty must be exchanged, so the ink comsumption is optimized. 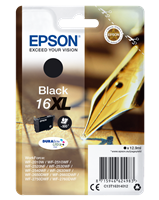 Epson uses only its patented single individuel ink printer cartridges for the entire inkjet printer series. The manufacturer hp offers both systems, the HP Business Inkjet 2800DTN works with single ink cartridges, whereas the HP Photosmart 1000 relies on the three-chamber system for fast direct photo printing. 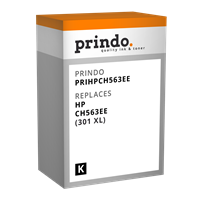 The individual cartridges do not have their own printhead because it is located directly in the printer, whereas the three-chamber color cartridges have the printhead installed in the cartridge-so with each cartridge change your device gets a new printhead. Most of the new cartridges are provided with a chip. The chip identifies the ink cartridge in the printer and supervises the ink level. You find more information about printer accessories and consumables in our guide. The toner is the colorant in laser printers and copiers, placed in the cartridge. Even with toners, a distiction is made between the two systems: the compact toner cartridge and the toner unit with a seperate development unit. Many devices from hp, Canon or Lexmark rely on the compact unit: the empty toner cartridges are replaced. Color lasers from Epson- for example the Aculaser C1900S-are designed with a special seperate toner and development unit and only the empty toner unit is to be replaced and the drum unit remains in the device and is only changed at the third or fith toner change. The toner cartridges are designed with a chip in order to identify the device and to supervise the ink level. Information how to dispose of ink cartridges and laser toner in an environmentally sound way you can find in our guide.